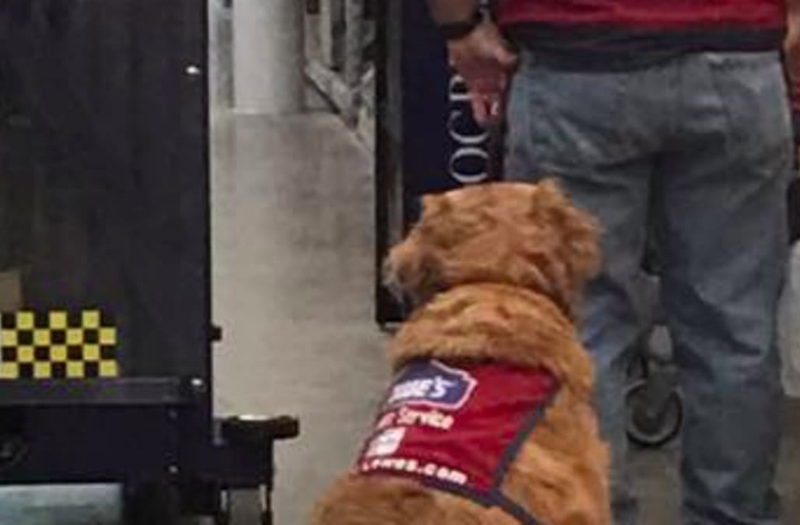 A local Lowe's in Texas is making headlines after it hired both a veteran AND service dog as its employees. Clay Luthy is a disabled Air Force veteran, and since returning home, struggled to find a job. His 10-year-old Golden Retriever, Charlotte, had to be near Clay at all times. But that limited the places Clay could work. And so, Lowe's offered them both a job. Charlotte shows up for work with Clay and sits with him as he helps customers. And when Clay gets dressed in the morning, Charlotte, too, puts on her Lowe's vest. One local was so happy to see the duo, she posted this photo to Facebook. It's going viral -- and everyone is expressing their love for the chain. The brave vet and his furry friend are warming hearts everywhere! Scroll through to see some more cute puppies.